Mandy Moor is currently in Paris attending Paris Haute Couture Fashion Week. 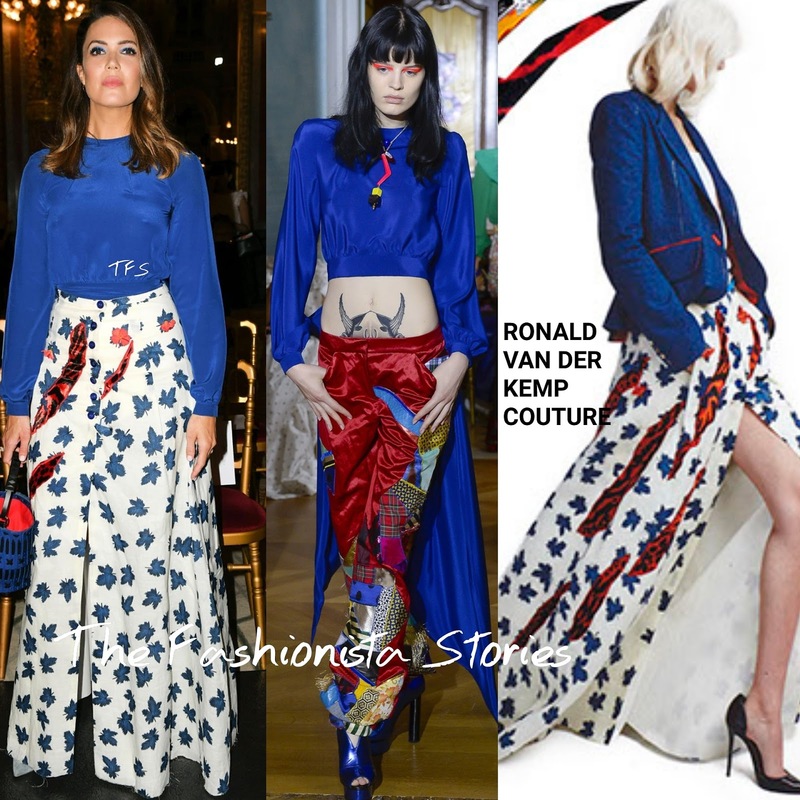 Yesterday(July 1st) she attended RONALD VAN DER KEMP Fall 2018 Couture show wearing an ensemble by the designer of course. She posed for pictures inside the venue wearing a FALL 2017 COUTURE electric blue long sleeve crop top with a bow detail back and a FALL 2015 printed, split detail floor gazing skirt. I love the top that Mandy's is wearing, especially the back but I actually prefer the skirt with the blazer. However she does looked great. Which piece works better with the skirt for you, the crop top or blazer?